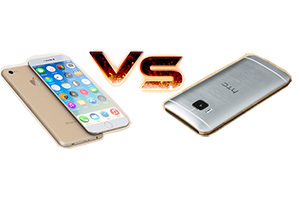 iPhone 7 and HTC 10 (previously known as HTC One M10), the top two smart phones in 2016, have something in common and also differ from each other on certain sides. Which one is your cup of tea, the iOS based iPhone 7 or Android based HTC 10? Read the following comparison article and hope you can go to form your own judgement. Also check the latest review of iPhone X pros and cons, iPhone 8 vs Samsung Galaxy S8. Before you switch iPhone to iPhone 7 or HTC 10 or iOS 10 update, you will need to make a safe copy of your mobiles. To make a safe copy of your iOS devices, here we use MacX MediaTrans. This iPhone backup software offers a much easier iPhone backup and transfer solution than iTunes, enabling users to backup photos, videos and music on iPhone 6S/6/SE/5, iPad Pro/Mini/Air 2, iPod Touch 5/6 and transfer to iOS 10 on iPhone 7/Plus. You can move your data from old iPhone to new iPhone 7 by drag and drop, fast and easily. iPhone 7: According to 2016 Apple Event, it says that the Apple gives a slew of iPhone 7 pros, That means iPhone 7 has no significant improvements on design. Still LED-backlit IPS LCD, 3D touch, fingerprint scanner Touch ID, however, it has no 3.5mm headphone jack and the new jet black will come with iPhone 7 instead of space gray. HTC 10: When the HTC One M9 is released, it wins large amount of praise on its beautiful design. And the HTC 10 also looks great. The first impression it leaves to me is "chunky". 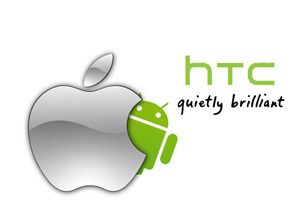 Actually, this is not a negative word since HTC's design is not chasing the ultra-slim hand feeling. Plus, there is another shining point: HTC 10 has no logo on the front, a big pleasure for HTC fans, indeed. Latest reviews: iPhone 7 VS iPhone 8; iPhone X vs Samsung Galaxy S8 vs Galaxy Note 8.
iPhone 7: As iPhone fans, we usually expect the new iPhone with some breakthrough features. For iPhone 7, the new features are the abandon of headphone jack, completely waterproof supporting, dual camera and USB-C port, 256GB capacity, Li-Fi tech, multi-touch 3D Touch, AirPods etc. HTC 10: Compared with iPhone 7, HTC 10 makes big progress on fingerprint sensor (iPhone with Touch ID), which doubles as a home button, not clicking but providing rapid response. Worth a mention is that the HTC 10 becomes the first Android phone to support audio AirPlay feature, which enables you to free stream audio from HTC 10 to Windows/MacBook computer via Wi-Fi. iPhone 7: The discussion of iPhone 7 storage is always heating up. According to the latest Apple event 2016, iPhone 7 casts away 16GB version and be armed with 32GB, 128GB and 256GB for iPhone 7 (Plus). It's definitely a good news for iPhone fans, for you eventually don't be bothered by your limited storage space. Prepare your greenbacks for your bigger than bigger iPhone 7/7 Plus. HTC 10: Well, speaking of smart phone storage, HTC no doubt has no right to speak. The reason is obvious. 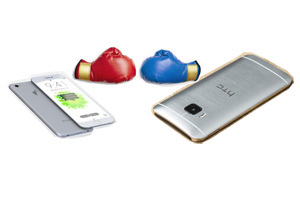 The HTC One M9 only has one version, 32GB. So how would you bear this phone if you're quite demanding on phone storage? Chill down! A huge improvement has made to HTC 10, which sports with 32 and 64GB, two versions with 4 GB RAM. iPhone 7: Not satisfied with iPhone 6s/Plus battery life? iPhone 7 and 7 Plus finally get battery life improved. Apple says that iPhone 7 goes up to 2 hours longer battery life than iPhone 6s; iPhone 7 Plus stays 1 hour more than iPhone 6S Plus. You might hold your iPhone 7 and 7 Plus longer for movies, music, games etc. More importantly, you have no need to dig out the iPhone battery saving tips around. HTC 10: No matter whether iPhone 7/Plus or iPhone Pro comes with a 3100mAh battery or not, what we can ensure is that HTC 10 is really armed with 3000mAh battery, supporting up to 456 h (3G) stand-by and 27 h (3G) talk time. I just wonder if HTC is considering to release a HTC 10 Plus/Pro to battle against the Plus/Pro version from Apple. Just my personal guess. After the side-by-side comparison between iPhone 7 and HTC 10, now here presents you the advantages and disadvantages of iPhone 7 and HTC 10 in brief as conclusion. In short, the basic information about the top 2016 smart phones are here. We will keep updating the data once we get the latest info. No matter what the final version will be, we still have faith that the upcoming iPhone 7 and HTC 10 would become better than their predecessors and bring us with better multimedia experience, like bigger display, sharper screen, faster processing speed, etc. So watching video and listening to music become more enjoyable. Even better, the thoughtful multimedia software MacX Video Converter Pro comes out to help you improve your mobile phone experience to new heights. This iOS & Android video converter is able to help you free download movies to iPhone 7/7 Plus or HTC One M10 from YouTube, FB, Vimeo, Vevo, Instagram, Metacafe, etc. 300+ sites with MP4 AVI MKV FLV in 720P, 1080P, 4K UHD, 360 degree VR video. And it aids you to compress and convert videos to iPhone 7, HTC 10, iPad, Android tablets and more handheld devices for on-the-move watching, as well. If you wanna edit your iPhone Android videos, its editing features, incl. add subtitles, trim, crop, etc. are right at your finger tips. After you download the online videos to iPhone 7 or HTC 10 acceptable formats, you can transfer them to the mobile to watch on the go. While comparing iPhone 7 with HTC 10, transfer media to the former is not as easy as plug and go. Transferring videos to iPhone 7 involves iTunes, which is quite a confusing process. In this case, MacX MediaTrans also provides you a plug-and-transfer solution, which will transfer and auto convert videos from computer to iPhone 7 in batches in flash. iPhone 8 vs Samsung Galaxy S8: Which One Would Be Worth Your Money? If you are confused of buying Apple iPhone 8 or Samsung Galaxy S8, read the detailed iPhone 8 vs Samsung Galaxy S8 comparison, covering specifics, features, display, camera and more. It will resolve all your doubts between iPhone 8 and Galaxy S8. iPhone 7 or Samsung Galaxy S7? Review of iPhone 7 vs Samsung Galaxy S7 is shared here by comparing iPhone 7 and Samsung Galaxy S7's detailed specs, features, prices and release dates to help you decide which one is better. MacX MediaTrans is an all-in-one media manager for iPhone 7/6s/se/6, iPad iPod with top quality and fast speed. This feature-rich transfer software will transfer videos, music, photos, pictures etc between iPhone and computer.